Senior Advocate – Assistant Solicitor General of India. Senior Advocate Chetan Mittal, is a versatile lawyer having around 30 years of experience with more than two decades of active practice at Hon’ble Punjab and Haryana High Court at Chandigarh, Hon’ble Supreme Court of India as well as other State High Courts in India. He has expertise in multiple areas of law; and provides legal services in diverse fields including Constitutional Law, Corporate Laws, Land Laws, Service Laws including Labour and Employment, Economic Offences, Real Estate and Urban Development Laws, Contract Act, Commercial Contracts, Tender Matters, Dispute Resolution, Election Law, etc. He was designated as Assistant Solicitor General of India in the year 2014 by the Central Government for Hon’ble Punjab and Haryana High Court. He has dealt with the most talked-about, crucial and top-notch cases in the country. Born in Chandigarh in 1969, Chetan Mittal did his schooling from D.A.V. School, Chandigarh. 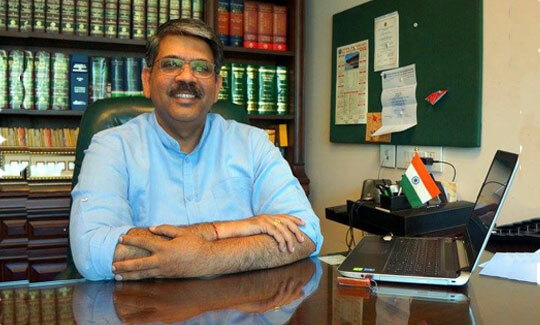 He completed his Bachelors of Commerce from Punjab University, Chandigarh in the year 1988; having an inclination towards legal matters, he went on to choose the field of Law and graduated with his LL.B. in the year 1991 from Punjab University, Chandigarh. 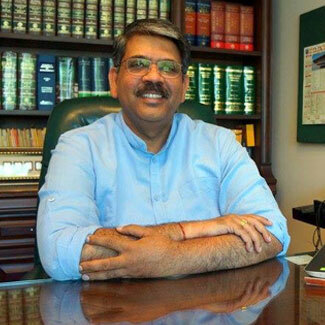 A Second Generation Lawyer, he initially started his career in the year 1991 in the Punjab and Haryana High Court at Chandigarh, where he excelled in the field of law by appearing in various important Civil, Commercial and Criminal Matters and mastered in the field of conducting trials. He was appointed as the Additional Advocate General in the Advocate General Office, Punjab for two terms in the year 2001-02 and 2007-11. Send us a direct message using the form on the right. We will revert to you as soon as possible. The Bar Council of India prohibits any sort of advertisement/information about practice/information about clients on the internet. For any further information, brochures, queries or to schedule a meeting or conference call with us, please contact us on the contact information supplied above. The Bar Council of India prohibits solicitation and advertisement by law firms or advocates on any public domain. The content of this website is solely for informational purpose and not for the advertisement purpose. We do not intend to solicit clients through this website. The provided information should not be constructed as a legal advice. We do not take responsibility of the decision taken by a reader on the basis of information provided on this website.By clicking on ‘ok’, the visitor acknowledges that the information provided on this website. It does not intend to solicit or advertise. It is meant only for his/her understanding about our work and activities.